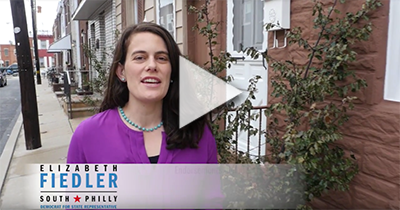 As a working mother, Elizabeth Fiedler is honored to announce endorsements from National Organization of Women (NOW) and Emily’s List. NOW works to realize a broad vision of progress for women and their families, to promote constitutional equality, combat systemic racism, advocate for economic security and reproductive justice, end violence against all women, push for immigration reform, and fight for LGBTQ rights. EMILY’s List, the nation’s largest resource for women in politics, is committed to increasing the number of women elected in Pennsylvania. The support from Emily’s List and the National Organization of Women joins an impressive list of endorsements from the Philadelphia Federation of Teachers, American Federation of Teachers, AFSCME DC33, DC47, 1199C Pennsylvania Association of Staff Nurses and Allied Professionals, Pennsylvania Working Families Party, UNITE HERE!, Teamsters Brotherhood of Maintenance of Way Employees, Representative Brian Sims, Equality Pennsylvania, Reclaim Philadelphia, Our Revolution, Liberty City Democratic Club, DSA, Food & Water Action and Grassroots Advocacy for South Philadelphia. For more information about Elizabeth’s bold stances on education , healthcare , family-sustaining jobs and justice visit our website.